"... will I pass a drug test with hi techs products"
Why are you posting in BSN Evotest if you are asking about Hi-tech? "... This Isshh make you wanna pick up something heavy!!! Hulk smash! First dose today"
"... coming off an 8 week cycle of anavar(40mg a day)Made great gains in strength and gained a few pounds of lean muscle wich was what i was looking to do.My question is what OTC product can i use as a pct.Should i use evotest imediately after and then aromavex?? should i stack them? or not use at all?" Usually no OCT PCT product is as good as the real thing, next time you plan a real cycle do the same for the post cycle. Yes, this product will elevate your natural testosterone levels and will help you keep your gains. Be sure to keep your protein intake high and keep training as hard as you did when you were on. "... Hello Guys , I am just started to use this product. Hope it will work. We will see it in 3 weeks ;)"
"... can i take hyper fx with evotest"
Yes, it's a great combination and you will find you'll make some good solid, lean muscle gains. "... Hey guys, I've been using the Black Cherry for a few weeks now and already am feeling some positive effects. I am almost finished the recommended 3 week cycle and will take a 2 week break afterwards then run it again. In this time my strength is up on all lifts, mostly on my pressing movements. I have also been recovering quicker and the scale puts me at 4lbs heavier but I think it's more as I am a bit leaner. Overall I am impressed and looking forward to running it again." "... Again, great find you guys! When can we expect to find this bad boy? Are they doing any public testers?" I am fairly certain my sources tell me it's at the Arnold Classic expo this year.. the place most of the new products are showcased - along with the Olympia expo in the Fall. From what I have read it will be available in both tablet and effervescent formats which is pretty cool as I haven't yet tried to use a powder format of a testosterone booster. Really looking forward to trying evo-test out asap! 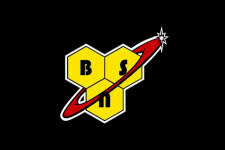 Trust BSN with their experience, expertise and result based driven technology! BSN has always been one of the leaders in supplements, and with new products such as EvoTEST they are sure to once again step up their game to set new levels of results for athletes around the world. We at fitFLEX pride ourselves in sharing the latest in the supplement world and are pretty excited to try this one out. Unlike most testosterone boosters on the market today, EvoTEST is a powdered format which is quite rare. Available in various flavors such as orange, this simple powder is mixed with water and consumed daily as per directions. Like most test boosting products out there, and as is the general case - the goal is to help you increased your strength, lean gains as well as improve recovery levels to help you train harder, more often and watch your improvement soar. Keep a close eye at fitFLEX as we always break the latest news first and watch for the first review of EvoTEST! 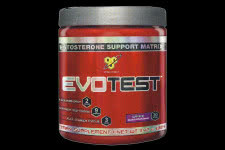 EvoTEST will help you gain lean muscle mass & increase strength! Ground Breaking Powder-Based Testosterone Booster!